How Does Divorce/Family Mediation Work? At Carolina Divorce Mediators, we make it easy for you. The process is simple and involves only a few steps. Contact our office – You are encouraged to contact our office by telephone so that you may talk to our mediator and learn more about the process first hand. We will be glad to explain the process in its entirety and entertain any questions that you have. At the time the first session is scheduled, contact information will be requested so we may send a pre-mediation documentation packet to you. This packet contains a checklist that you would use to prepare for your first meeting. Prior to our second meeting, you will be sent a second, financial package that will be used to collate all of your financial items for discussion. Having these items in hand prior to our meeting assists you in your preparation so we may be as productive as possible once your session begins. Most couples remain very focused and productive during the mediations when equipped with the information they need to make informed decisions. In order to be flexible, we have two offices in the Charlotte area. One is conveniently located in the SouthPark area and the other at Lake Norman. This permits mediations during a normal work day with minimal client travel time. Get on the schedule – We typically schedule in 3-4 hour blocks. Since you are building agreements throughout the process, using shorter sessions can cut your momentum short and sessions longer than 4 hours tend to cause “burn-out” with your ability to remain focused diminishing with time. Our “morning block” typically runs from 8:30 a.m. until 12:30 p.m. and our “afternoon block” runs from 1:30 p.m. until 5:30 p.m. We realize that different clients have different needs when it comes to scheduling and we are certainly willing to work with you to set a schedule that permits effective mediation even in the most hectic of schedules. Create your parenting agreement – The first topic of discussion is usually your children. If you have no children or if they are grown, we step right into the discussion of assets, liabilities, and support. Your mediator will facilitate your discussion on a variety of topics, keeping you focused on the issues and looking for common ground for settlement. Each of your perspectives will be heard and the process will be kept moving in a positive, productive manner. Various solutions will be explored so that the best possible agreement may be reached. Agreements that meet everyone’s needs provide the most satisfying results and we are there to help you accomplish that goal. Crafting a workable, comprehensive parenting agreement is essential to the well-being of your children. We will address items such as how and when the children spend time with you, health insurance, school and religious issues, extra-curricular activities, and child support. We can also discuss any issues on how you will conduct yourselves — after you have separated — while in the presence of your children. Formulate your financial settlement – An equitable, practical distribution of assets and liabilities is also a part of our process. Making informed decisions is imperative to insure that your financial future is secure. We can even provide resources to help you navigate the more complex issues such as pension and business valuations and the tax implications of any proposed settlements. Each decision builds on the previous and a spirit of cooperation is established between the two of you. Finalize your decisions – Congratulations! You have finished all discussions. At this point, we create a summary of your agreed upon items known as a Memorandum of Understanding. Once completed, you may review the Memorandum and we will be happy to make any changes or clarifications. Although it is very thorough and precise, this document is not in itself legally binding. The Memorandum should then be taken to an attorney of your choice (we can refer you to one) so that a legal document called a Separation Agreement may be drafted. 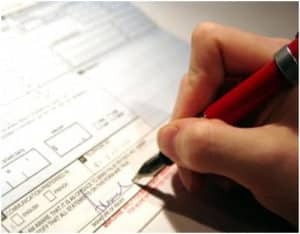 Once you sign your Separation Agreement, it is legal and binding.